Player kicks 3 balls from 10 feet away. 3 out of 3 goals wins first prize. 2 out of 3 goals wins second prize. 1 out of 3 or less wins consolation prize. Let Our Team Make Your Next Event a Hit!!! 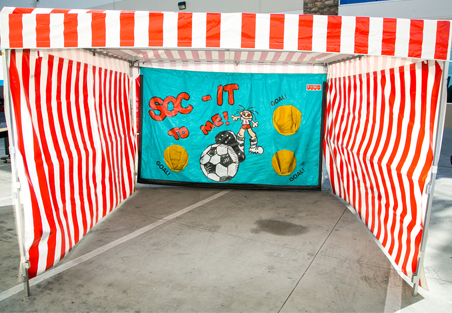 We can transform your local public or private grounds into a Super Sized Fun Party in about an hour. Our endless inventory of exciting Amusement products, including towering Inflatable Slides, Obstacle Courses, Rock Climbs, Euro Bungees, Mechanical Bull or even our New Water Bubble Rollers will be sure to occupy all ages until the sun sets… or even rises. 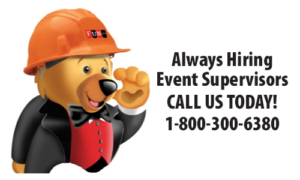 Whether it is a Company Picnic, School Carnival, Grad Night or a birthday party we can put together a FUNtastic event. We also do Bar/Ba Mitzvahs, Family Reunions, and Block Parties. Don’t worry about Catering, we have what you’re looking for regardless of your type of event. We will meet and exceed all expectations in creating a memorable experience.